I made these disco pumpkins as a centerpiece for our dining room table to celebrate Thanksgiving. 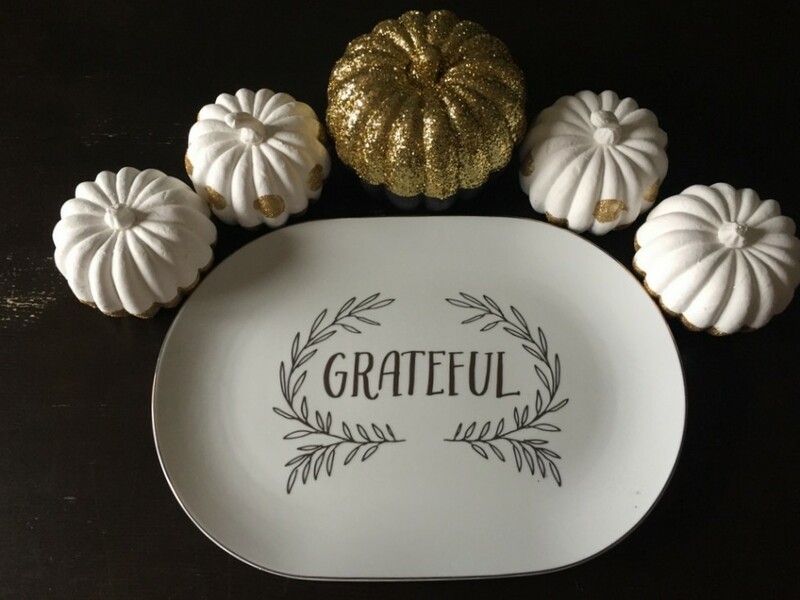 I bought that platter at Target when the fall stuff first came out, and I love it. And, I thought it needed something with gold sparkles to sit with it. I made this video so you can have disco pumpkins, too!